This takes meatball sandwiches to a whole new level! 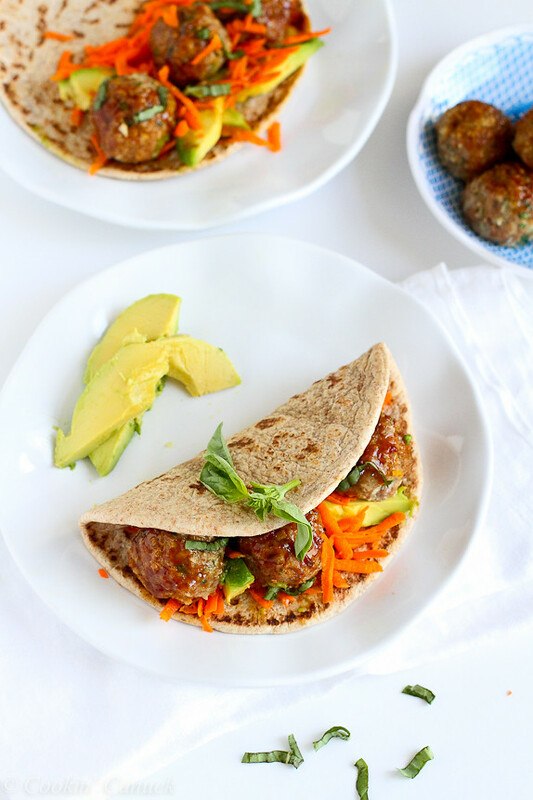 The flavors in these Asian Meatball and Avocado Flatbread Sandwiches are beyond delicious. 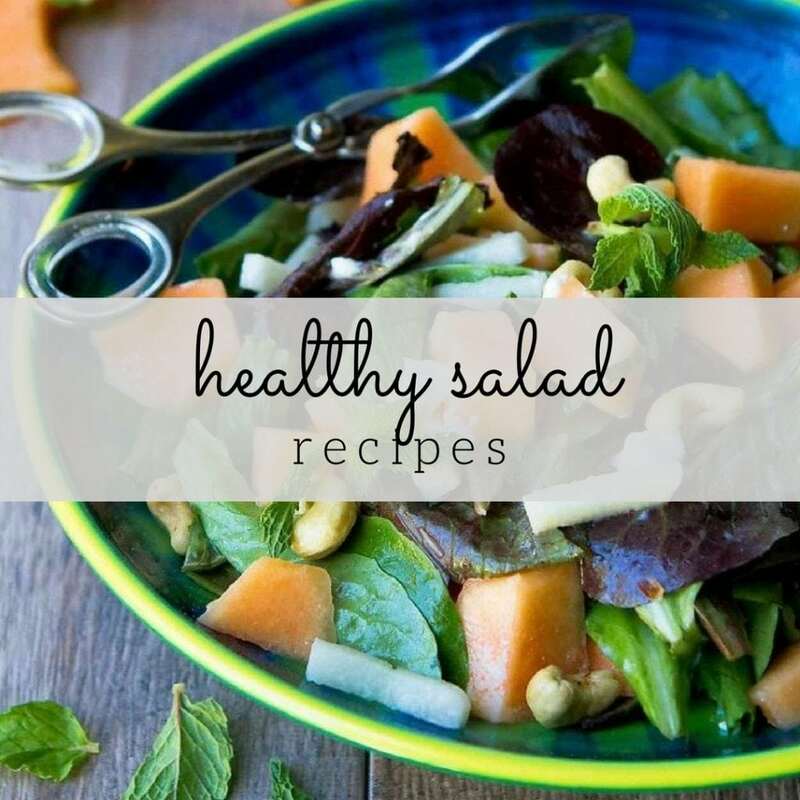 Sweet and savory, with a side of healthy! Thanks to the California Avocados for helping me to share this recipe with you. When I was a kid, my most requested birthday meal was spaghetti and meatballs (or meat sauce), specifically made from the recipes in my Disney cookbook. Lady and the Tramp spaghetti and Tinkerbell’s meat sauce, thank you very much. The spaghetti and meatballs birthday request tradition carried on with my boys, though gradually morphed into rice with Baked Teriyaki Turkey Meatballs, which are also perfect (sans rice) on any hors d’oeuvres table. Just give your guests some toothpicks for stabbing and the meatballs will disappear in no time. Knowing how much my family adores these meatballs, I wanted to give them new life in another recipe – in other words, another reason for my kids to say, “Mum, this is better than going out to restaurant. Well, except for sushi.” My meals will never hold a candle to sushi in their minds. I can’t say I blame them. Great sushi chefs deserve a special place in heaven. 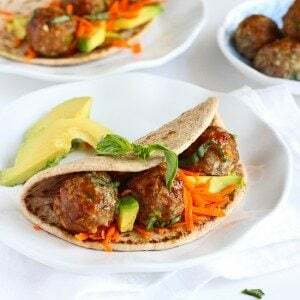 These meatballs and flatbread sandwiches may not rival sushi, but they hold their own, with tender, Asian-spiced meatballs, creamy avocado and a sauce that’s good enough to drizzle on everything from meatballs and shrimp to chicken and pizza. Since these are somewhat similar to banh mi sandwiches, grated carrots seemed like the logical choice to tuck into the flatbreads with the meatballs, but red bell pepper, daikon or even jicama (or a combination of multiple vegetables) would work well, too. Think color, crunch and freshness! My fridge is regularly stocked with California avocados and it’s hard to resist including them in every recipe. They already took a starring role in the shrimp-stuffed cucumber boats that I posted earlier this week. Their creamy texture and mild flavor meld well with the meatballs and sweet hoisin sauce. As an added bonus, they provide a dose of healthy fats, which have been linked to reduced inflammation. Plus, they’re loaded with fiber, potassium and other vitamins and minerals. Healthy AND delicious. A wicked combination. For the whole wheat flatbread, I used the small round ones found at Trader Joe’s (which is reflected in the nutritional information). If you don’t have access to a Trader Joe’s, any whole wheat flatbread, or even pocketless whole wheat pita bread, will do. Preheat the oven to 350 degrees F. Thoroughly coat a large baking sheet with cooking spray. In a large bowl, stir together the ground turkey, grated onion, garlic, ginger, parsley, five spice powder, egg, breadcrumbs, salt and pepper. Use a 2 tablespoon portion of the turkey mixture for each meatball and form the meatballs by rolling between the palms of your hands. If they are not sticking together properly, add more breadcrumbs, 1 tablespoon at a time, until the correct texture is achieved. 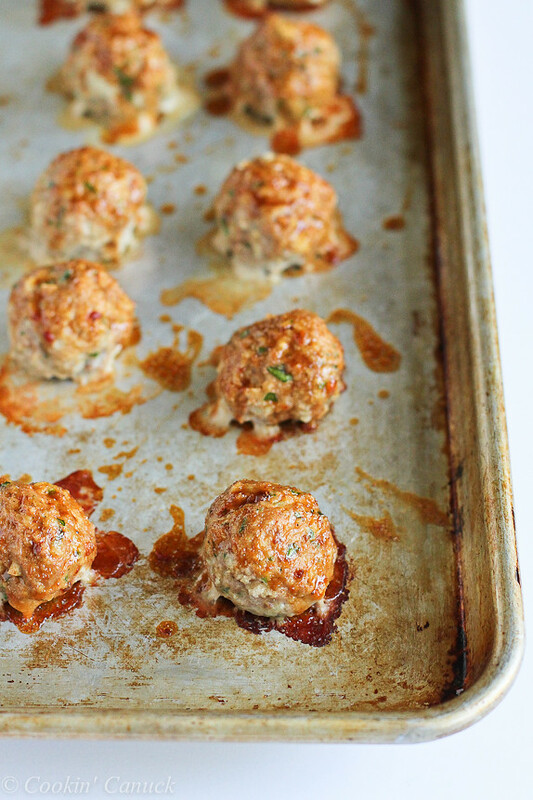 Bake until the meatballs are firm to the touch and almost cooked through, about 15 minutes. Brush the meatballs with 2 tablespoons of the sauce. Bake for an additional 5 minutes. In a medium bowl, whisk together the hoisin sauce, water, rice vinegar, chili garlic sauce and sesame oil. Divide the meatballs, avocado, grated carrot, basil and remaining sauce evenly between the flatbreads. Serve. Loving this Asian spin on meatballs! This dish is going to be a hit in our house for sure! Pinned! you had me at avocado!! I’ve been eating a lot of avocado tacos lately…this will be a nice change! All over this recipe which looks and sounds delucious. Can’t wait to try these flavours. 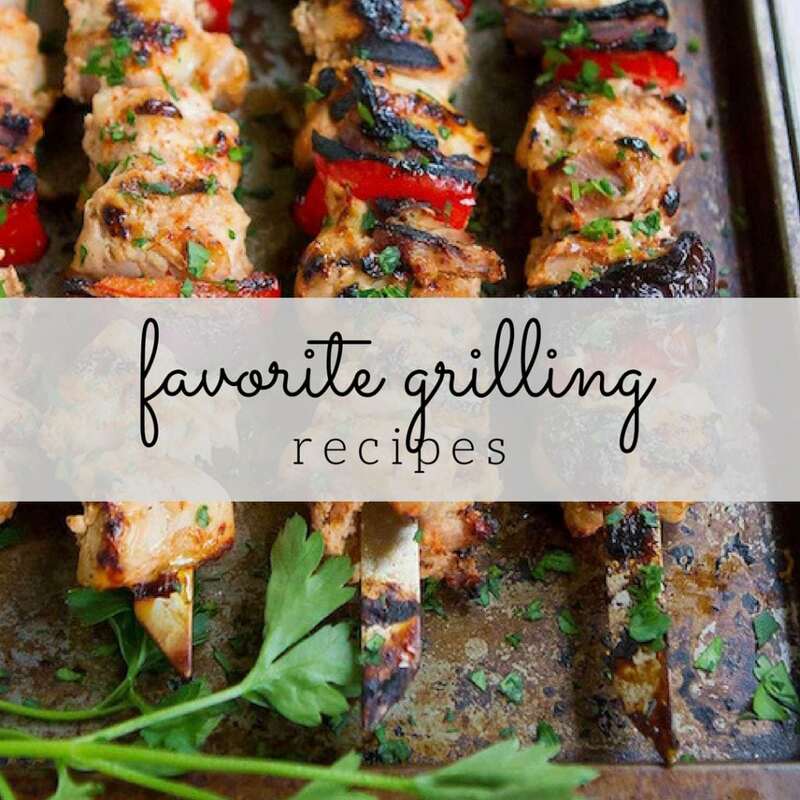 Thanks , Dara, for another enticing recipe! Thank you Dara for the nice recipe and have a great day! I love the sound of this oh and that avocado margarita!! I love how you always requested Lady and the Tramp spaghetti and meatballs for your birthday meal. How funny! This recipe looks like it would rival that recipe hands-down as far as taste, and would take the prize for colorful ingredients and wonderful textures. I would even choose your sandwich over sushi anyday. You did a great job in creating another recipe for your meatballs. It looks so good. I will pay anything for an avocado. Glad to hear you always have them. Maybe we should move to Fallbrook! Who doesn’t love a meatball!? Especially an Asian style one in a delicious sandwich! Yum. 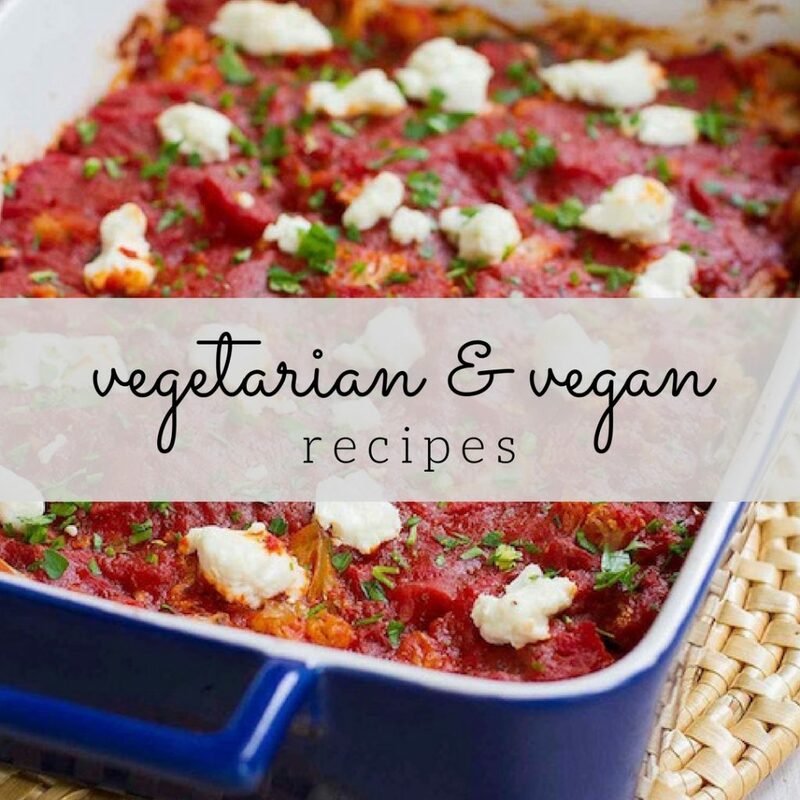 My boys are always asking for meatballs – this would be right up their alley! Oh I love everything about this! What a creative twist! I love how meatballs are a blank canvas for a world of flavors! This Asian version with the avocado, carrots and basil is hard to pass up! There is something special about meatballs. Whenever I make them my kids especially love them and they are so simple. I love putting them into this sandwich with avocados (a favorite of ours as well)! I love these for the kids! They love meatballs but I never though to make them like a taco! Great idea! What a fun idea! An innovative and healthier take on the meatball sandwich. I love the five spice powder in your meatballs and that sauce sounds incredibly good! Gorgeous! 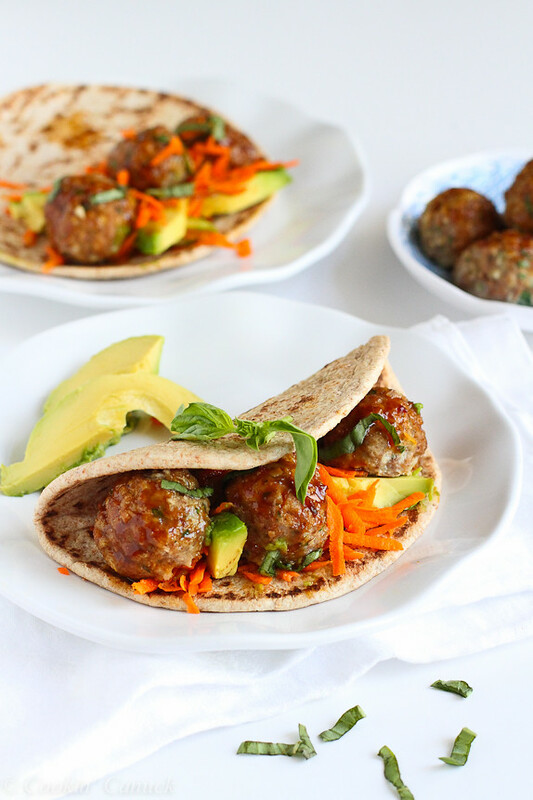 Love the Asian + meatballs + avocado = perfect! What a fantastic idea! I’m going to try these AND the teriyaki meatballs you mentioned. Both seem like they’d be a hit with my family.